A monthly Welsh language periodical that served the Congregationalist denomination, mainly in north Wales, which published articles related to religious affairs and religious education. 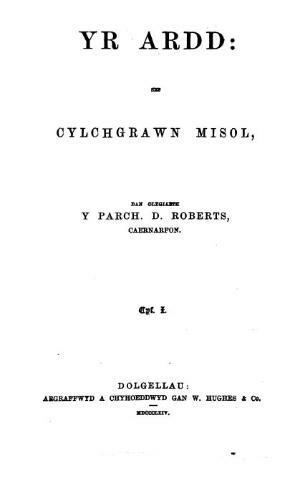 The periodical was established by David Roberts (Dewi Ogwen, 1818-1897) who was also its first editor between 1863 and 1865. Form 1866 to 1869 the periodical was jointly edited by David Rowlands (Dewi Môn, 1836-1907) and Rowland Williams (Hwfa Môn, 1825-1905).